Even those who avoid technology cannot live without it. Semiotic Engineering – An Opportunity or an Opportunity Missed? Presentation by Dr. Mihai Nadin at the Tartu International Semiotics Summer School, August 19, 2015. Anticipation: Learning from the Past. 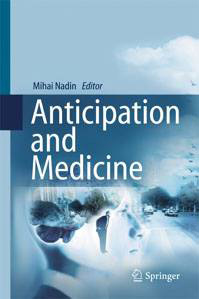 The Russian/Soviet Contributions to the Science of Anticipation. (M. Nadin, Editor) Springer Cognitive Systems Monographs 25 August 2015, pp. 329-337. The Hague, Netherlands, April 1-6, 2000. Where is the “Human” in Human-Computer Interaction? One of Nadin's major assignments as Eminent Scholar in Art and Design Technology (at the Ohio State University) was to draw up a plan for a center in which research in the art and design possibilities of digital technology would serve as an intermediary between education and applications for art and industry. The computer: using it or being used? Design and Technology Update: Adapting to the Forces of Change, Rochester Institute of Technology, NY, 9-11 May 1983. Teaching at a school of art and design, Nadin perceived the importance of the early personal computers, not as a substitute for talent, but as an aid to creativity. To visualize means to make visible. The main impetus behind visualizing comes from the experience of design. New research fields have been opened through the visualization of many previously "unseeable" phenomena.